Equi-Med Ultra Garlic contains stabilised Allisure® allicin powder. There are many positive references in scientific literature about the benefits of using allicin. Equi-Med Ultra Garlic is the first powder for animals that contains allicin. It can be added to animal feed. Ingredients: Non GM maltodextrin, gum acacia and allicin. 1 heaped teaspoon per day with food. A supplement spray to aid minor wound healing. 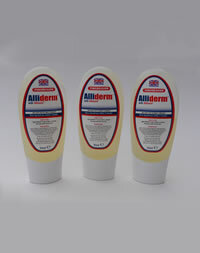 Ideal for horses needing protection from a variety of bacterial conditions.